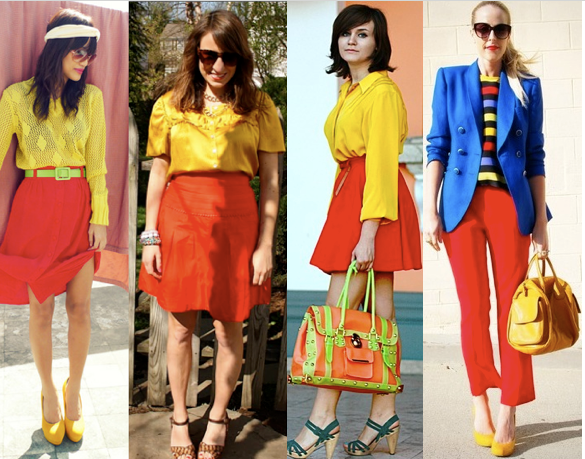 We challenge you... to color-block with primary colors! - Wear a Maxi Skirt. -What's " I challenge you to...."? It's weekly special where we (Flor de Maria Fashion & I) challenge our readers and bloggers around the globe to wear specific trends- and we would love if you could join us. Every Tuesday we'll publish the next challenge, and then on Mondays: we'll show you how we wore the trend and you'll be able to share your link&outfit. We were inspired by "Bloggers do it better" but we want to give our own twist to it! It can be absolutely anything, you can wear a blue dress with a yellow bag or color block with just the accessories and keep the clothing simple. El reto de esta semana: (15/06/2011 al 22/06/2011): Usar bloques de color pero... de colores primarios! Puede ser como quieras: un vestido azul con una cartera amarilla o solo los accesorios de colores y el outfit simple..
Me gusta el reto. Tal vez lo intente. another cool challenge! Love it! can't wait! oh I love this trend right now! will definitely incorporate this in my outfits! I already have an older post done for this one! I love the challenge! 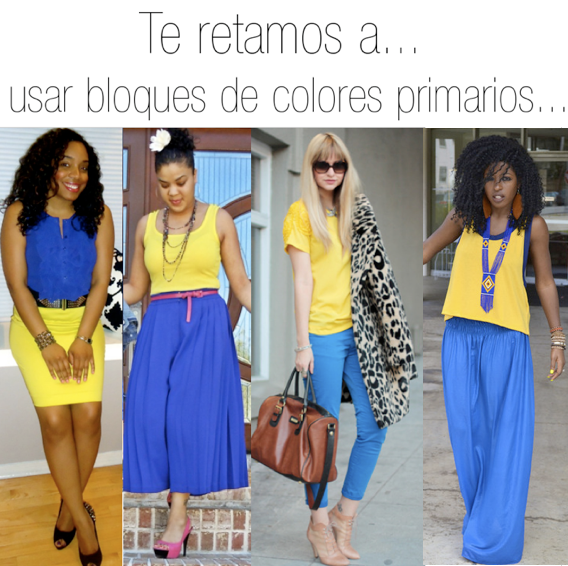 I just wore yellow + blue outfit today - can't wait to show you!